Maeve is the national director of wine at Fleming’s Prime Steakhouse & Wine Bar. 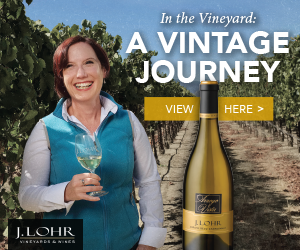 Each year, Maeve selects top-rated wines from around the world as well as from exclusive, limited-allocation boutique wines offered to her, for her coveted wine list. The wines are all chosen during an extensive 12-month tasting process. These, along with unique local wine selections picked by the wine managers, make up the award-winning wine list at Fleming’s, which is highlighted by the Fleming’s 100 — 100 wines available by the glass, taste, flight and bottle. 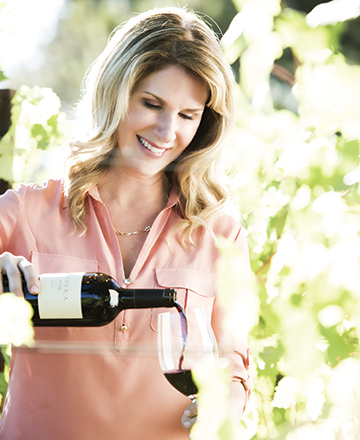 Prior to becoming the national director of wine, Maeve was an operating partner for the company in Houston and was selected as Fleming’s “Prime Partner of the Year” three times. Maeve now lives near the company headquarters, in Laguna Beach, California, with her husband Luis and their five children. When she is not working, she enjoys traveling, hiking and hearing her children’s magical and happy laughter. ITM: Maeve, thanks for interviewing with us. 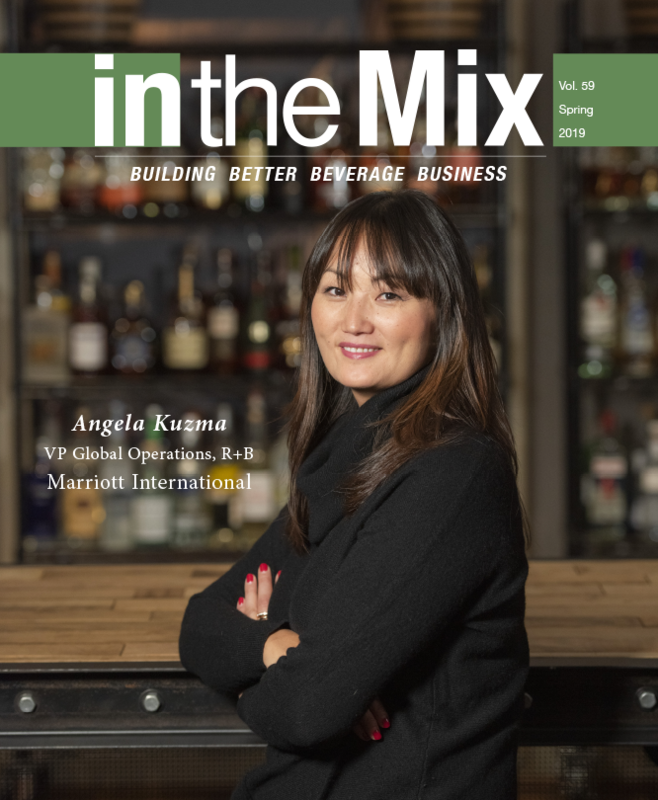 As you know, we are celebrating women in the beverage business this issue. 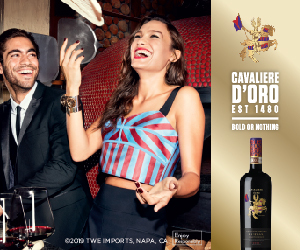 There are more and more females in the restaurant wine business, but it is still male dominated. Is there any advice you could give to young women who would want to be in your business? MP: When I came into the world of fine dining, I was the only woman working in any capacity other than hostess. Many times a guest would ask the see the “real” manager (the male manager) even though I was his boss. It was a different time. I feel that we have made huge strides here, and young women today need to know that with knowledge, comes power: Educate yourself, become a subject matter expert, and be prepared to put in the time, energy and hard work it takes to move forward in your career. Seeking out a mentor, female or male, to inspire and guide them along the way, is another important component that can position them to grow in our field. ITM: We first met at an ABI (Alcohol Beverage Institute) meeting in Dallas. Members of Congress are trying to introduce a bill to lower the BAC to .05. Many restaurateurs who are not members of ABI may not be aware of this. Do you have any comments on this? MP: At Fleming’s, we are very committed to responsible vending and certify our associates annually to ensure we are serving responsibly. As restaurateurs, we cannot underestimate the impact that a .05 BAC would have on our guests’ freedom to consume a drink with friends in a responsible way. Together, we need to support ABI in their mission to demonstrate to legislators that continually lowering the BAC level does not solve the problem of drunk driving. ITM: With 100 wine-by-the-glass selections, you must have a system to keep the wines fresh. What do you use? MP: We are truly passionate about our wine program and dedicated to ensuring that we are serving a great glass of wine to each guest. We store and serve both our red and white wine at the appropriate temperatures. Each wine is labeled, dated and checked by the wine manager every day. 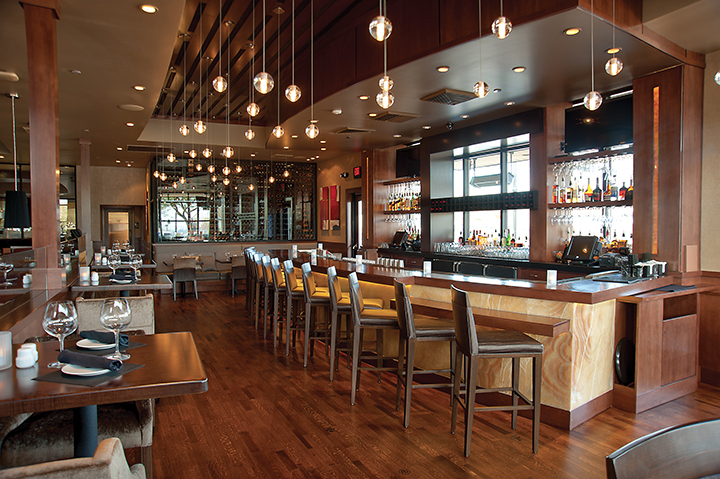 For preservation, we use Vinfinity, a flash vacuum system that removes all air after each pour. ITM: You use a customized iPad for your wine presentations, which is very easy to navigate, I might add. How do your customers react to it? 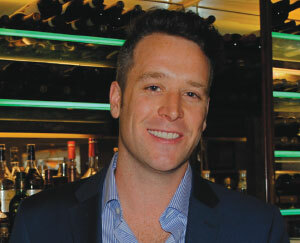 MP: When we designed the Fleming’s WiNEPAD from the ground up, we wanted to develop more than just a digital wine list. Our focus was creating an engaging experience for our guests, to enhance their conversation about wine with their server and to make wine approachable and fun. The Fleming’s WiNEPAD allows us to meet our guests wherever they are on their journey with wine. From novice to collector, there is something for all palates; everyone has fun. You can look around our restaurants and see our guests engaging in wine in a whole new way. It’s very exciting! ITM: Last we talked, you were working on a series of short videos called “A Minute with Maeve” (if I have the title right). How are these coming along and what is the main purpose of them? MP: “Maeve Minutes” are Millennial-focused, one-minute educational videos to show and tell what a server needs to know RIGHT NOW about wine and spirits at Fleming’s. These short videos are part of our targeted blended learning approach to support our associates’ ability to grasp and retain information. One of our core values is FUN, and approaching wine and spirits education in a fun and fast-paced way keeps our teams engaged. ITM: Let’s talk about the wine list a bit. What is your best-selling varietal or blend in your case? MP: When you think of a steakhouse, people think Cab, and the popularity of both Cabernet and Cabernet blends has steadily grown over the last five years. White varietals are almost equally popular by the glass, with Riesling and Pinot Grigio leading and Sauvignon Blanc a close second, and sparkling wines about to join that group. 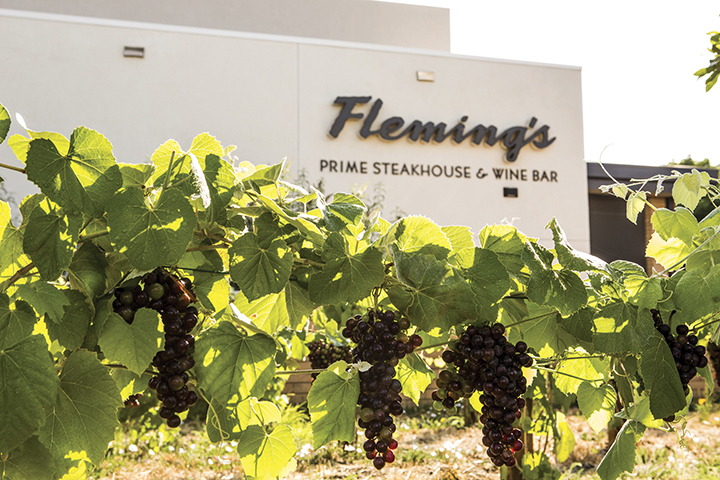 Our guests visit Fleming’s for many different reasons, so having a glass of white or sparkling at the bar or before dinner and a Cabernet or red with steak is very common. 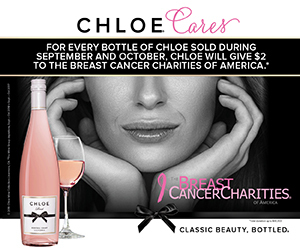 ITM: As a rosé drinker, I was surprised to see only one on the list, a Côtes de Provence. It has always been a tough category. Is it a seasonal thing or are people still not turned on to these wines? MP: Dry rosé is a style of wine that has taken off in popularity the past few years. Look around at any wine bar and I am sure you will see a well-heeled hipster sipping on a rosé (myself included!). I added our first rosé by-the-glass two years ago, and this year I selected the high quality rosé made by Jolie-Pitt & Perrin. I also have a special rosé being made exclusively for Fleming’s, from Russian River Valley, that will provide a contrast in style to the Miraval, so our guests can compare and contrast the two styles and regions. We also certainly see an increase in sales of rosé in the spring and summer. Nothing says that spring has arrived quite like a glass of rosé and a patio. ITM: I saw three Rieslings on the BTG list. Everyone talks about the resurgence of Riesling — is it true? Are more people discovering this wonderful varietal? MP: Yes, yes and yes! Yes, we are a steakhouse, and yes, Riesling is one of our very top sellers! Of course, Riesling can be made in several styles — dry, off-dry and sweet — and our guests are able to experiment with and explore this wonderful varietal in several different ways. ITM: You have a lot of fun wines on your Earthy, Complex, Robust and Spicy list. How are your customers enjoying these wines? MP: The really great thing about 100 wines by-the-glass is that it allows me the luxury to introduce new wine regions and new taste profiles to our guests. We have many guests who want to explore, and this section is the perfect place to take them around the globe. In this section, you can go from Portugal — with more and more non-port style wines being made with traditional, old vine grapes — to its neighbor Spain, with Rioja. Or Australia, France and California, for the popular GSM blends, and of course, Malbec from Argentina, which continues to boom. ITM: You carry a lot of blends on your list, both Merlot- and Cabernet-based. Are these styles of wines a personal favorite? MP: I like these wines but the list is really made in response to our guests. My focus is to find the best wines in a certain style. Blends have become very popular because guests have a lot more knowledge about wines now and know that most wines are blends, with only a few varietals being made entirely of that grape, like Riesling and Pinot Noir. Since Cabernet is such a perfect steak wine, guests quickly discovered there are very good Cab-Merlot (Cab Franc, Petit Verdot and Malbec) blends equally good with steak, and that is why this section continues to grow. ITM: New Zealand Marlborough Sauvignon Blancs are well represented. I assume that style of wine must still be very popular. MP: Our guests are smart. This is a refreshing wine that you can sip as an aperitif and is very tasty with many appetizers. There is a larger diversity of styles now as well, since it has become so well known, so you can fine-tune your selection to encompass several of these. ITM: What dictates the order in which the wines are presented on the list? I can’t figure it out. MP: In every section — sometimes by grape (Merlot, for example), other times by style such as sparkling — we list wines with increasing intensity. With white wines, what is most important if you don’t know the wine, is to know if it’s dry or sweet, unoaked or oaked. With reds, tannin is the deciding factor for many guests. We try to take some of the guesswork out by making the styles clearer, listing wines progressively in each section and on the Fleming’s WiNEPAD. ITM: A lot of our readers may not be aware that you are responsible for all beverage selections, including liquor. What is your methodology for creating the unique cocktails on the menu? MP: Yes, it’s not ALL about wine, but don’t tell anyone I said that! Spirits are such a fun place for me (and our guests!) to try something new and different. 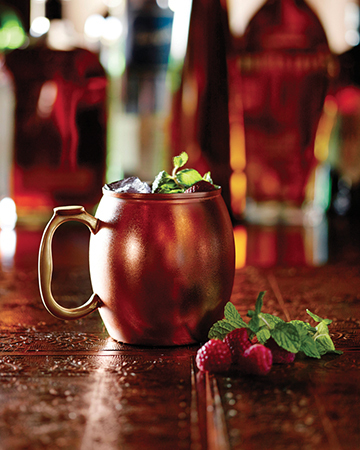 Cocktails are experiential — it’s not just a drink but also an experience. Our guests love learning the history of a cocktail, finding a new craft spirits, or trying a new type of spirit in a cocktail made by one of our bartenders in the proper manner. 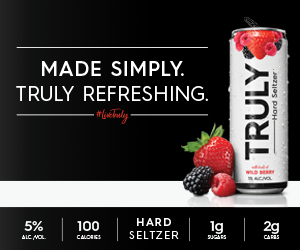 My focus is to utilize fresh, seasonal ingredients, the highest quality craft spirits and impeccable cocktail techniques to create drinks that people love and are still thinking about the next day. Cocktails allow us to help our guests get a bit out of their comfort zone. 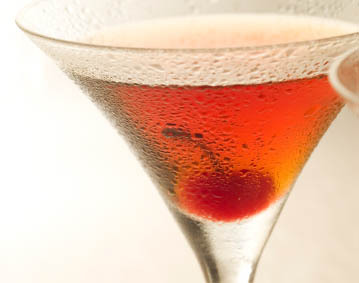 Our list is arranged so that our guests feel comfortable exploring new types of spirits they may not normally have, in a cocktail made in a way that will still be pleasing to their palate. ITM: It’s nice to see you have two featured drinks using rye whiskey. As you know, I just did a story on rye’s resurgence. 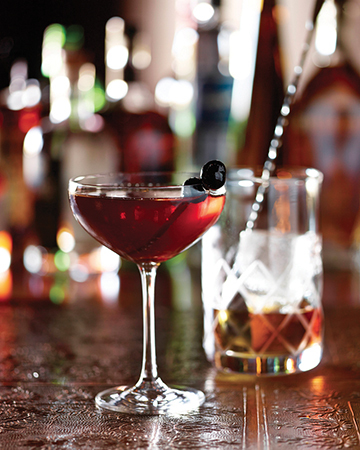 Are your customers embracing these cocktails? MP: Absolutely! The beautiful thing about the rye resurgence is that it’s not just for the men anymore. We have created balanced rye-based cocktails that are a hit with both men and women, and there are a ton of fun, fearless females sippin’ on a rye cocktail at Fleming’s tonight. ITM: I love the Sip and Savor the Season drinks. How often do you change them? MP: These cocktails have been a hit since we launched them last year. Our seasonal cocktails give our associates something new to offer their guests four times per year that truly speak to the season. Having access to seasonal ingredients adds new and different options for combinations of flavors. ITM: Your Drinkable Desserts list is not typical of the category. The main spirits are strong liquors like bourbon, rum and rye whiskey. What was your inspiration for this selection? MP: I saw an opportunity to be innovative in a category that had been declining over the past few decades. 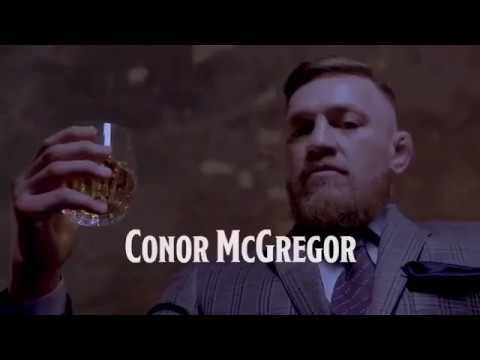 Utilizing bourbon, rum and rye allows me to introduce a new generation to bold and exciting new flavors, and be innovative in a category that has been declining or stagnant in recent years. These aren’t your typical cloyingly sweet cocktails of the past — they are designed to have layers of flavor that resonate with our guests in a big way. ITM: Do you offer anything special for the upcoming Christmas and New Year’s holiday season? MP: This is such a celebratory time of year and to add to the festivities, we have brought in large format bottle options and custom batch cocktails for our private dining guests. Starting November 11, we also have our fall/winter Taste the Season menu, a four-course prix fixe that features fall favorites like butternut squash ravioli with Hackleback caviar, a gorgeous golden beet, asparagus and fig salad, followed by a porcini-crusted filet over a braised mushroom ragout. Such a fun and festive time of year! ITM: You have five children. How do balance your family life with such a high-profile job? MP: If I had a quarter for every time someone has asked me this, I could buy some pretty amazing vintage Bordeaux! There is no simple answer here. Truth be told, work-life balance can be a rather elusive concept. What works for me is to find moments in everyday life that fill me up and allow me to give back that energy to my children, my husband and my work. Small things, like seeing the light in my boys’ eyes when they show me something they did at school that day, or watching one of our guests find their new favorite wine on the Fleming’s 100 list, or seeing an associate at Fleming’s have that “aha” moment in a wine education seminar, fill me right up and help me funnel that energy into my family and my work. ITM: In closing, I want to thank you for taking time to participate in our women’s edition of in the Mix. You are truly an inspiration to all women aspiring to succeed in the restaurant business.